While killing time waiting for my car to be washed a couple of weeks ago, I wandered by this relatively new florist shop next to the main post office. When I noticed the name of the business, A Unique Florist, I decided to go in and find out just what is unique about this shop. Inside, I met proprietor Terri Head. 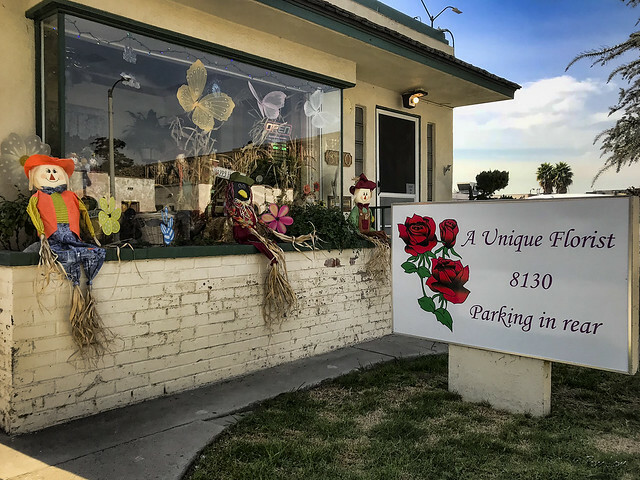 Although her shop is new to this location, Terri has been doing business as a florist in Downey for many years. When her previous landlord decided to go a different direction with the building she was leasing, she found herself unexpectedly required to move by April 1, in the middle of one of her busiest times of the year. But the move has gone well, and she's enjoying her new location near downtown Downey. 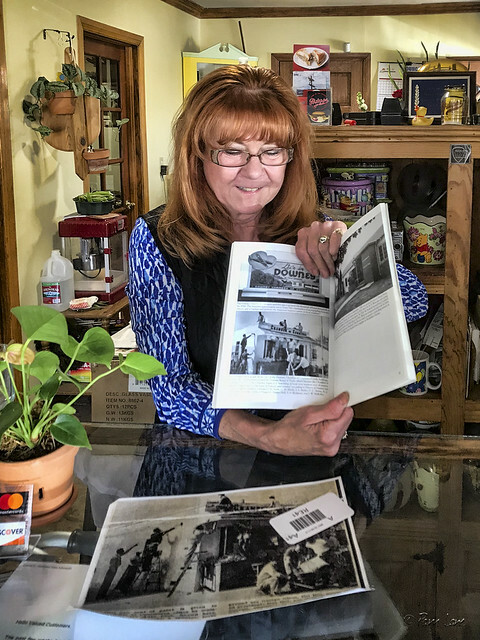 One unique thing about her business is the history of her new building—it was the original Downey Chamber of Commerce building, as shown in Larry Latimer's book Downey (Images of America) and also in the Downey Conservancy photo on the counter.